The pitching will change for sure...Pettitte is 38...I don't think he will be back. Mariano will be there, not sure about Posada...he is getting up there...actually the core four. Jeter, Rivera, Pettitte, Posada are the oldest players I believe in the MLB that are still on the same team after all these years. I did pick a Lou Gehrig jersey recently, a wool gray #4, and a Yankees varsity jacket online. Looking at World Series leather jackets as well, even though I got the pinstripe leather jacket...I will have to bring them out from Afghanistan of course... But they are worth it. 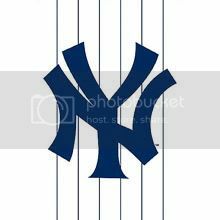 Well, a few days away from the start of the 2011 season...Bronx Bombers pitching may not be that good....all the hitters are in place as usual, hope that will help out. Will miss your posts Joe G...hope your Detriot Tigers pick it up this season. See you at the ballpark!!! NSB...Bronx Bomber fan since 1974. I am so glad the season has started. Both of my parents were huge baseballs fans, so I think it's hard wired into my DNA. I'm a Braves fan and I think that's another DNA thing, too. Also like the TB Rays, but have no clue how they are looking so far. Braves are 1-1 right now and JHey leads the league in runs so far. LOL! Well, being a Mets fan (also the Yankees a little too / long story), I hate the Braves and ain't too thrilled w/ TB. But, that's what makes it fun! Glad to see another BB fan here! The only time I ever pull for either of those teams is if they play Boston. That is my least favorite team in both the NL or AL. If they went 10-152, I would be thrilled to bits. Congrats to the New York Yankees for winning the AL East Division title. The have made the playoffs 16 out of the last 17 seasons!!! You know I used to like you. But I can't be seen being friends with a Yankee fan. (excuse me I just threw up a little in my mouth) because i said Yankee, (see it happened again. Last edited by pigheaded; 09-28-2011 at 02:07 PM.. But at least they are consistent. They've kinda sucked for many many years now. Been a fan from back in the days of the Dodger trade. Garvey, Cey, Baker, Lopez, Yeager. Those were the days. I am so thrilled with the way the sox did this season...i could not be happier with the outcome!!!! Its not the first time that team has choked...definitely not a fan of the red sux.